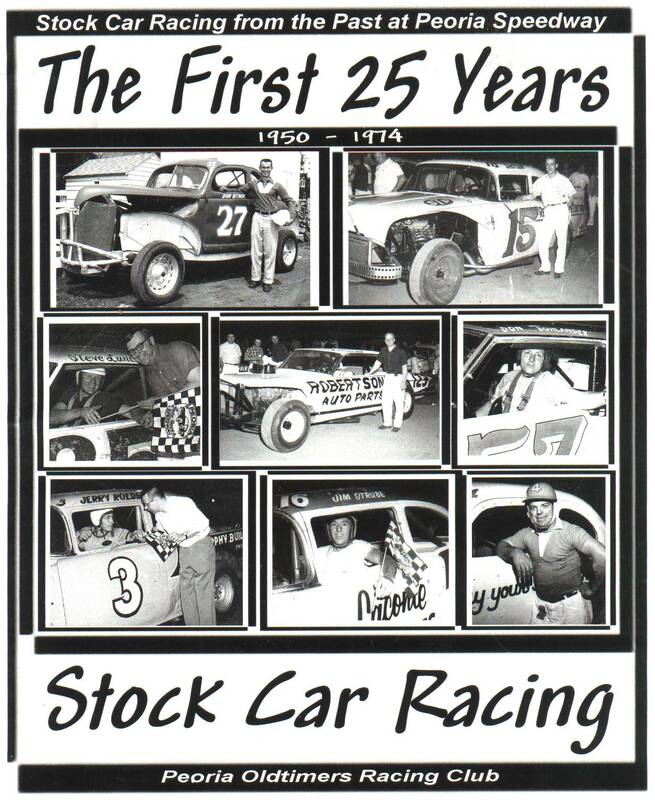 Looking for information / Photos / etc regarding Floyd Stanbery, who owned race cars that competed in the Peoria area during the 40's & 50's. He was my grandfather. He later owned the Stan's Mobil service station in Peoria. I am from Peoria, my Dad had Car City near Main and Hamilton. My son has a 1967 Dodge Coronet 440 very clean but needs some work it has new water pump, etc. Needs upholstery but the outside is cherry. Much respect to the drivers of the past!!!!! Im so happy to have found this! I grew up watching my uncle race for years at the speedway.. I wished you had a pic of him on here! John Coonce # 7 mid 70's 80's era.. I also recall Strube, bolander etc.. wow.. this is amazing. Very Nice Replica Mike ..... Thanks for Posting !!! I have strong ties to PORC and would like to say of all the things I've heard about it; they have been nothing but fantastic compliments. Congratulations! Love the website! Absolutely Love It! Thanks for this interesting site. Hope I got signed inokay. It keeps saying not right info. Born and raised in Pekin. Attended many races from early 50's at least thru 70's. Seems like work and family got in the way after that. Never a racer. Always a spectator. Even remember going with parents to watch the Hell Drivers at Pekin Airport for years. Also remember seeing Lee Lott's old car, a Hudson possibly in a yard somewhere near Zepherhills, Florida in the 90's. I am looking for pictures from the Lincoln Speedway. Can anyone help? Reply Antal J Baksai Sr. I was looking thru Craigslist where I saw a car for sale @ PAL Automotive with a tribute to Darrel Melvin (in memory of) on the car. Oh My, that struck a cord with me that he had passed away and I went down memory lane of all the drivers that myself, my brother Karl, and many friends had helped pit on their cars and we had Raced in the mechanics races with... I did not know this site existed. Thank you to such a wonderful man Scott Shults for putting this together and allowing us to pay respects to those we love! My brother Karl has passed away three years now and Many here will and have missed him so much. Was on web looking for old photos of stock cars hoping to find one of grandpa's car . And I did . Was under a photo of Herb Shannon . Hiss-O Or other wise numbered X O with the X being circled . Why this pic was with Herb shocked me . That car was mostly drivin by Bud Kinsel of Canton Illinois . I have only two pics of the car and the one on the web is one of them . I would lik to share the other one . It's a group pic of the car . Raymond Jett, Builder,owner and grandfather, Bud Kinsel Driver,another driver Johnny Joy and an unknown person . hi scott, things were sure different this year at the speedway. i really was shocked when i heard they let you go ( or however it went), i know i missed you. i made it through august, but after that i gave up. i hope to make it to the party in december, and i would like to see you back at the speedway next spring. keep up the good work! To Rita Schroeder (via the post to David Bogard) - I just stumbled on this site because I am getting ready to celebrate my 57th birthday, and i wanted to find a picture of Don's "57" car. My Dad (Bob Hentrich Sr.) was good friends with Russ growing up in New Liberty. We would stop occassionally at Russ' house in Davenport, just a few blocks off Locust, where Russ was ALWAYS in the garage working on the stock car. We rooted for Don every Friday night at the Miss. Valley Fairgrounds, and often got to go down to the pits after the race to talk with both Don and Russ. What great memories I have of those days! Mary Lee Standridge passed away on Aug 13. She was long time scorer at Lil Springfield and Jacksonville. She was also mother to the Standridge Clan. My Dad is Russell Ewoldt. He owned a stock car or two. He raced 1960 - 1973. Don Bohlander was the driver part of the time. Russ passed away on Dec. 19, 2008. Wish he could have seen this site, he would have been in his glory! I'M a cousin to the Strube brothers and remember going to the track every Forth of July when my folks and I would visit Peoria during the holiday. I have great memories as a youngster going to the track on that holiday and watching the races....even got a checkered winners flag from Fred on evening...wish I knew what I done witth it. Scott, great site. Brings back many memories of when I used to help Chuck work on his cars. Spent many a saturday night there. Scott, Thank you for the kind mention of my father,Freddie Voight, on your site. He was born in Peoria, the only child of Henry and Violet (Crafton) Voight, on April 23,1927 and died August 4,1973. He was father to the four of us and (at that time) grandfather to five. Hey Scott,Just found this website and WOW what a great job you are doing with it.Hope you and all my old friends at Peoria Speedway are doing well. Thanks so much for this site and for honoring my dad, Ed Bolen. Building and racing cars was what my dad did and who he was. He loved it. Wow lookin over this site brings back childhood memories starting at Mt. Hawley with my dad and then to Farmington Rd.. Also having the Strube family living a brief time across the street from us( Howett St.). Haven't been to the track in 30yrs. since I no longer live in area. Great to see some of my old favorite drivers and times. Keep it going! Cool site I think this will make a good history book for my Dad & Uncle Carl. Give me a shout back. Imagine my suprise to come upon this site! All I can say is WOW! Sure brings back the memories! Cool site. I just found it with my grandma and we bought your book. I hope that you still have some in stock! Beverly Anderson is my grandma and she raced in the Powder Puff in '66 and '67. Her late husband Jim Anderson along with the Miller brothers owned cars driven by Jerry Roedell and Herb Shannon. They started at Mt. Hawley sometime before 1950. Great site! 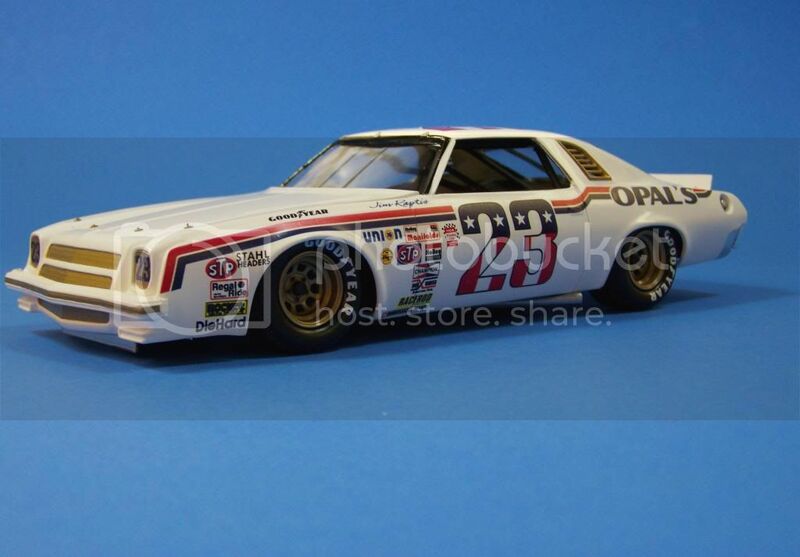 I put a link to your site on my website that is dedicated to racing radio-controlled versions of vintage stock cars. Love checking out the old photos and info on the site. Keep up the good work. Any photos of dad? Thanks for the site Scott. It is very impressive. Ronnie used to say, he didn`t have time to be an old-timer and a racer too. This is my first time on this site. Awsome job Scott!!!!!!!!!! !